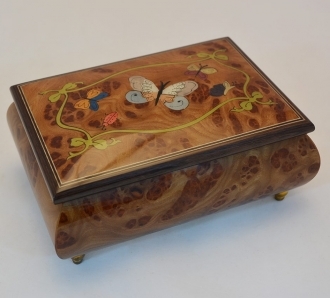 These very charming music boxes are inlaid with enchanting images of butterflies and swans and even frog. 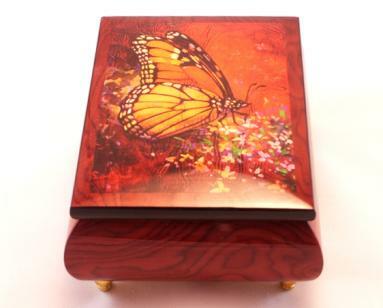 They celebrate nature and its creations. 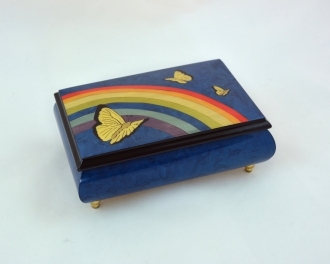 The Italian music box inlaid with rainbow and butterflies is a glowing example of the same. 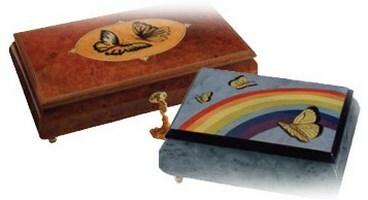 The images are presented in a very appealing way. All these creatures are presented very imaginatively against their natural surroundings. 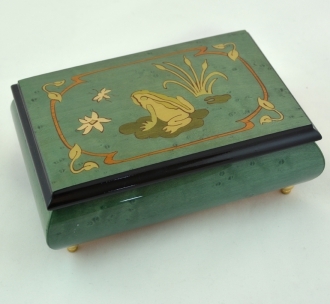 All these handmade art pieces are painted with charming colors. 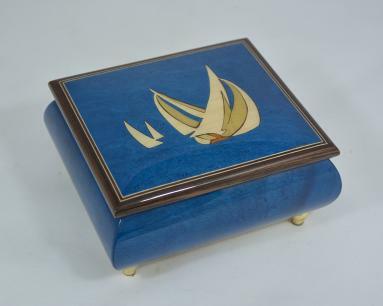 These Sorrento boxes form splendid gift articles to your near and dear ones. 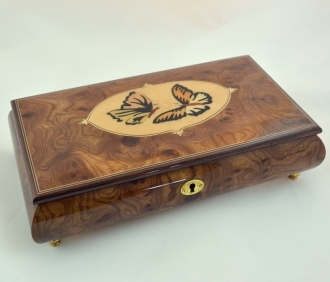 The velvet interior of the jewelry box will hold your lady’s precious jewels securely.